Are the foods you eat improving your health or causing you harm? 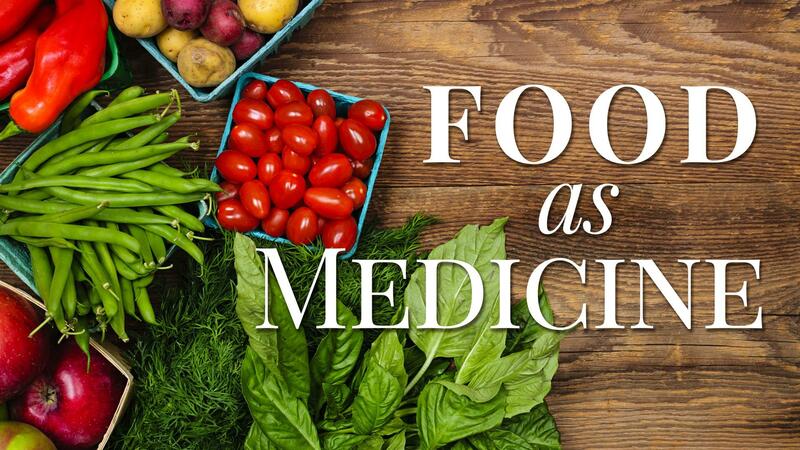 Join PBS39 for "Food as Medicine" on Saturday, November 24th, at 2pm. This program, hosted by PBS39's Monica Evans, features Dr. Scott Stoll, a board-certified specialist in physical medicine and rehabilitation who specializes in regenerative medicine and nutrition, explains what to eat to prevent and reverse heart disease, high blood pressure, rheumatoid arthritis and diabetes. The program also features Chef Erik Oberholtzer, the co-founder of Tender Greens, whose 30 restaurants in California, New York City and Boston serves up locally sourced quality ingredients with a farm-to-fork philosophy. Chef Erik prepares a quick and easy 30 minute meal that you can make at home with ingredients to boost your health. During the experience, PBS39 takes you to the Rodale Institute in Kutztown, Pennsylvania, where scientists have studied soil with the conviction that "healthy soil, equals healthy food, equals healthy people." Rodale scientists will also explain the environmental impact of our food choices. Founded in 1947, Rodale Institute is a 501(c)(3) nonprofit dedicated to pioneering organic farming through research and outreach. For more than seventy years, the Institute has been putting science behind best practices in organic agriculture and sharing its findings with farmers and scientists throughout the world, advocating for policies that support farmers, and educating consumers about how going organic is the healthiest option for people and the planet.